We collect, use and store your personal data so that we can offer you the products and services you expect from us. We see your personal data as just that: it's yours. So we will always be clear and upfront with you about what we do with your personal data, and (of course) you have control over it. •	We will send you marketing communications as we believe we have a legitimate interest in doing so; however, we will always offer you a clear and simple means of changing your preferences whenever you want to. Simply click here to view and amend your preferences. You can manage your marketing preferences (whether we can mail you catalogues, call you on the phone, email you or share your personal data with third parties) by contacting us as above or through the preference centre in your online account - available here. We will update your preferences as soon as we can but please note that as catalogues are printed in advance, it may take up to 8 weeks for the process to be completed and for emails it may take up to 2 weeks. When you create a customer account, visit our website, communicate with us or purchase our products or services, you may choose to give us certain information. For example, when you give us your name and address, tell us about your wine preferences or when clicking on active buttons such our 'Place Order & Pay'. Whenever you use a website, app or other internet service, information gets recorded automatically by the IT systems used to operate that website, app or service. The most common type of information collected is in the form of cookies (small text files sent by your computer each time you visit our website) but can also include personal data transferred by the electronic device you use to access our website and its settings. The manufacturer of your device, or the provider of the operating system, will have details about what information your device shares with us. We will share your (or your recipient's) name, address and, where applicable, telephone number with our carriers. The law on data protection sets out a number of lawful bases for which a company may collect and process your personal data. Only 4 of these are relevant to us. "Legitimate Interests" means the interests of our company in conducting and managing our business to enable us to give you the best products and services, and the best and most secure experience. For example, we have an interest in marketing our products and services to you, and making sure our marketing is relevant for you. Therefore, we may process your information to send you marketing that is tailored to your interests. It can also apply to processing that is in your interests as well. For example, we may process your information to protect you against fraud when transacting on our website, and to ensure our websites and systems are secure. When we process your personal information for our legitimate interests, we make sure to consider and balance any potential impact on you (both positive and negative), and your rights under data protection laws. Our legitimate business interests do not automatically override your interests - we will not use your personal data for activities where our interests are overridden by the impact on you (unless we have your consent or are otherwise required or permitted to by law). Where we rely on our legitimate interests to send you marketing communications, we shall tell you when you become a customer how we would like to market our products and services to you, and offer you a means of opting out of those communications. 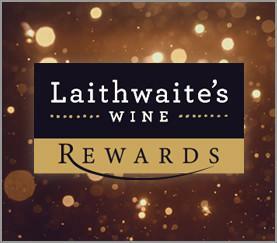 You can opt out of our marketing communications at any time through the preference centre in your online account – available here – or by contacting us on 03330 148 168 or dpo@laithwaiteswine.com. In specific situations, we collect and process your data to comply with our contractual obligations. For example, if you order an item from us we collect your address details, phone number and email and pass these to our couriers to deliver your purchase. If the law requires us to we may need to collect and process your data. For example, we pass on your details to verify your age to ensure that we only sell products containing alcohol to those aged 18 or over. We may disclose the personal information that you provide to a credit reference or fraud prevention agency which may keep a record of that information. This is done only to confirm your identity. A credit card check is not performed, and your credit rating will be unaffected. We can collect and process your data with your consent. For example, when you tick a box to confirm that you are happy for us to share your data with third parties for marketing purposes. How and why do we use your personal data and on what lawful basis? 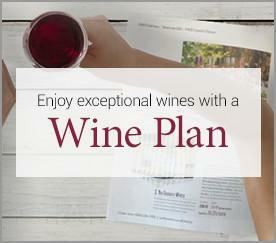 On the basis of our contractual obligation to send you the wines and other products and services you have purchased; to manage any accounts you have registered with us so that (i) we can provide you with products and services; (ii) you can place orders; and (iii) we can fulfil those orders and communicate with you about them. 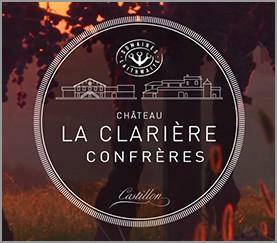 On the basis of our legitimate interests to improve the range of wines, offers and associated products we offer you and to help identify new products and services in the future to present you with personalised offers on our website, through social media channels such as Facebook and Instagram and by placing banner advertisements on third party websites; to personalise the offers you receive from us – the wines you love, unique events, and special offers and promotions; to allow you to post links to our products on social media; to carry out research to better understand your views on our products and services and to allow you to continue enjoying our award winning customer service. So that we can provide you with our products and services, we have to share some of your personal data with certain third parties. We rely on a set of external companies to provide us with services that enable our business to run properly. Our core service providers include the courier companies we use to deliver our products to you; banks and clearing houses to process your payments; companies we use to carry out fraud protection and age verification checks; IT services providers; companies to help us with our marketing; and partners through which we provide our concession shops. We work with a number of other third party companies to provide value to our business and to you. These companies include our marketing partners and social media partners (for instance you can publish a link on Facebook or Twitter to any wines of ours that you have enjoyed). We will only partner with a company that meets our own high standards and that we think is a good fit for our business and our customers. Each of these third parties is required by the terms of the contract we have agreed with them to use your personal data only as we instruct it and to ensure that your personal data is secure. We may also on occasions share your data with trusted retail partners either directly or through alliances operated by third parties. The companies we share your data with directly and the retailers participating in these alliances are active in the clothing, collectables, food & wine, gardening, gadgets & entertainment, health & beauty, household goods, and home interiors categories. These alliances work by each trusted retailer sharing information on what their customers buy. This information is analysed to help the retailers understand consumers' wider buying patterns. As a result, the retailers can tailor their communications, sending suitable offers that should be of interest, based on what they like to buy. 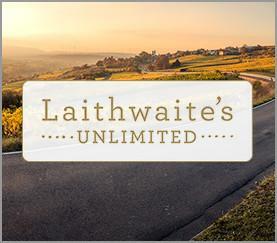 If you would rather not receive marketing offers from third party companies you can withdraw your permission whenever you want through the preference centre in your online account – available here or by contacting us on 03330 148 168 or dpo@laithwaites.co.uk. We are required to co-operate with regulators (like the Information Commissioner's Office or HMRC) and law enforcement agencies (like the police or the Serious Fraud Office) in every country we operate in. Although it does not happen often, regulators and law enforcement agencies can require us to share information with them as part of an investigation; this may include your personal data. We would have to disclose your personal data where we believe that disclosure is reasonably necessary to comply with the regulator or crime enforcement agency's demand. From time to time we may look to purchase another business or sell or re-organise parts of our business to ensure that we remain in strong shape. Sometimes these types of corporate transactions involve the transfer of your personal data solely for the purposes of assessing the transaction. In the event that we sell or buy any business or assets, personal data which we hold about you may be one of the transferred assets. Strictly speaking this is not personal data, but on occasions we will use data from which you cannot be personally identified but which does include information that relates to you (such as your purchase history). This data is combined with data from other customers to provide general trends on customers preferences, ratings and reviews and general buying habits. When do we send your personal data outside the European Economic Area and why does it matter? From time to time we may use service providers outside the European Economic Area ("EEA"), in particular for the provision of IT services and as a result we may transfer your data to suppliers in countries such as Australia, the US and India. If we do share your personal data with service providers outside the EEA we will ensure reasonable safeguards are put in place to protect your personal data. Our standard practice is to use ‘standard data protection clauses’ which have been provided by the European Commission for such transfers. Those clauses can be accessed here. Currently we retain data for 6 years from date of last purchase with us, but we may keep certain categories of personal data after your account is closed in order to meet any legal or regulatory requirements, or to resolve a legal dispute. 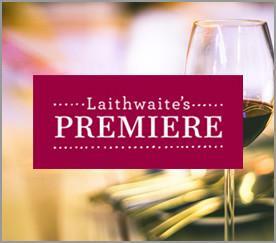 You can access the personal data we hold on you by contacting us 03330 148 168 or dpo@laithwaites.co.uk. To process your request, we will ask you to send us two forms of proof of identity so that we can be sure we are releasing your personal data to the right person. We will process your request within one month or, if the request is particularly complex, two months. We can provide you with a copy of your personal data in electronic format or hard copy. If we consider the frequency of your requests is unreasonable, we may refuse to comply with your request. In those circumstances, we would notify you of your right to complain to the Information Commissioner's Office. We welcome feedback from you to ensure our records are as accurate and up-to-date as possible. If you think that the information we hold about you is inaccurate or incomplete please ask us to correct it by contacting us on 03330 148 168 or dpo@laithwaites.co.uk or by updating your details at any time through the My Details section in your online account. We will process your request as soon as we receive it or within one month of receipt at the latest. Other than as described above, we will always comply with your request and do so promptly. We would also notify any third parties with whom we have shared your personal data (for instance, our carriers for the purposes of delivering wine to you) about your request so that they could also comply. Some customers would still like to order our products but do not want to receive any marketing communications from us. This is not a problem as you can simply update your marketing preferences by contacting us on 03330 148 168 or dpo@laithwaites.co.uk or through the preference centre in your online account – available here. If you ask for a data transfer, we will give you a copy of your personal data in a structured, commonly used and machine-readable form (for instance, in a CSV file format). We can provide the personal data to you directly or, if you request, to another organisation. We will comply with your request within one month or, if the request is complex or there are a number of requests from you, within two months. If you would like us to stop processing your personal data for marketing purposes simply let us know by contacting us on 03330 148 168 or dpo@laithwaites.co.uk or through the preference centre in your online account – available here. We put a lot of effort into personalising your experience with us to ensure that the offers we send you are interesting, relevant and timely. To do this we look at your previous purchases plus any wine preferences, ratings, reviews and favourites you may have indicated to build a profile of what you are most likely to want to buy. This is known as 'profiling'. If you don't want us to carry out any profiling using your personal data please let us know by contacting us on 03330 148 168 or dpo@laithwaites.co.uk. However, please be aware that if you ask us to stop profiling your personal data you will stop receiving personalised offers on the wines you enjoy the most. We have appointed a Data Protection Officer. If you have any questions about how we use your personal data that are not answered here, or if you want to exercise any of your rights described above please contact our data protection team by contacting us on 03330 148 168 or dpo@laithwaiteswine.com or write to Data Protection Officer, Laithwaites Wines, One Waterside Drive, Arlington Business Park, Theale, Reading, RG7 4SW. If you feel that your data has not been handled correctly, or you are unhappy with our response you have the right to lodge a complaint with the Information Commissioner's Office. We may update this policy from time to time to take account of any new business activity or to reflect any changes in law or best practice in relation to data protection. We will notify you if we do so. Cookies are tiny text files stored on your computer when you visit certain web pages. Please note that cookies can't harm your computer. We don't store personally identifiable information such as credit card details in cookies we create, but we do use encrypted information gathered from them to help improve your experience of the site. For example, they help us to identify and resolve errors, or to determine relevant related products to show you when you're browsing. To order products on bbcgoodfoodwineclub.com, you need to have cookies enabled. If you don't wish to enable cookies, you'll still be able to browse the site and use it for research purposes. We're giving you this information as part of our initiative to both comply with legislation, and make sure we're honest and clear about your privacy when using our website. We know you'd expect nothing less from us. For more information on cookies, visit the official ICO website at ico.org.uk or whatarecookies.com. Strictly necessary cookies - These cookies enable you to navigate our site and gain full access to its features and secure areas. Without these cookies essential services you have asked for like 'Your Basket' cannot be provided. Performance cookies - These cookies remember information about how you and other customers use our website. This gives us vital information such as which pages are visited most often and if customers are receiving error messages from certain pages. The role of these cookies is to allow us to analyse and improve the performance of our website ensuring you receive a consistent look, feel and shopping experience. Performance cookies (often known as web analytic cookies) don't collect any information that identifies the customer and all information collected is aggregated and therefore anonymous. Targeting or advertising cookies - These cookies are used to deliver adverts more relevant to your personal interests. Alongside this they limit the amount of times you see an advert and measure the effectiveness of adverts. This means you won't keep seeing irrelevant adverts or the same adverts over and over. These cookies are usually placed by advertising networks with the website operator's permission. They remember that you have visited a website and the information is shared with other organisations such as advertisers. Quite often targeting or advertising cookies will be linked to site functionality provided by the other organisations that generate the advert. When one of these adverts is presented to you on a site there will be a quick and easy way to click in and opt out of receiving further adverts. Site Catalyst - These cookies enable software. It helps us analyse visitor information such as browser usage, visitor numbers, what people are looking at and buying. Rakuten - a cookie for sales attribution of affiliates which allows the optimisation of marketing by understanding the customer journey to a purchase. Rakuten does not identify individuals. Sub2 Technologies - Sub2 helps us understand how visitors are using our websites, so we can improve users' experience on the websites and in buying or using goods and services us. Share buttons (Facebook, Twitter and Google+) - These cookies are required to enable our customers to share their shopping experiences through social media such as Facebook and Twitter etc. Please note that if you do choose to share through these social media providers that we don't control the setting of these cookies and we recommend that you check the provider's website for further information. Vivocha - a cookie that allows live online chat. If you do have any comments on the above, or you simply wish to contact us, please feel free to e-mail, call or write to us.